We have helped clients secure hundreds of millions of dollars. We can help you get maximum financial recoveries for your injuries, pain, and suffering. Call 603-569-9599 now for your free car accident case evaluation! 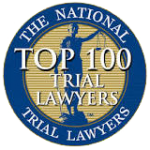 We are an award winning, nationally recognized, highly successful car accident and injury law firm serving Manchester, Concord, Nashua, Wolfeboro, Portsmouth, and other areas of New Hampshire. If you or someone you know has suffered an injury in an auto accident, please call us today for a free, no obligation case evaluation. Typically, auto accidents occur due to the fault of a negligent driver, bad road conditions, or automobile defects. Common causes of motor vehicle accidents include intoxication, speeding, distractions, fatigue, bad weather such as rain or snow, and various types of car manufactures’ defects. Sometimes, the accident may be very serious, causing severe injuries or even death. It is usually a very traumatic event and the victims will often have to deal with a lot of pain, suffering, exorbitant medical expenses and loss of income due to missed time at work. This is often a very heavy financial and physical burden which the victim should not be left to deal with alone. One of the major hurdles accident victims often need to face is dealing with insurance companies. Some insurance companies are difficult to deal with and it can be even more overwhelming when coping with injuries sustained from an accident. In addition, issues of liability may also arise. You will need to determine issues of liability such as whether the other driver should be held responsible because he was negligent or whether the car manufacturer should be responsible because the car was defective in some way. Our personal injury lawyers with The Law Offices of Monzione P.C., can help in filing insurance claims and also determine what liability issues may be present in a specific situation so that the victim of a motor vehicle accident receives the full compensation to which they are entitled. Following a car accident, you may experience feelings of despair and chaos. Nevertheless, you must take certain steps as the actions you take would affect the outcome of your case. Seek medical assistance: even if you think the collision was minor. It is important to see a doctor as internal or long-term injuries may develop in the future. Describe the accident only to the police officer and not the other drivers or witnesses involved in the accident. Ensure that the report filed by the police is accurate. Try to collect as much information as possible from all parties involved in the accident. Relevant information includes names, contact information, and vehicle license plate numbers. Also, if possible, collect information from any witnesses at the scene even if they were not directly involved in the accident itself. Take pictures of the accident. Your phone camera can come in handy and the pictures may be extremely useful in the event that you need to prove your case. 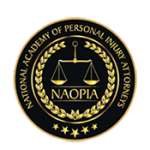 Call a qualified personal injury lawyer as soon as possible.